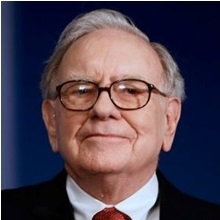 At Warren Buffet’s railroad BNSF, over the past 2 years, revenues are down 14% while profits are only down 7% suggesting better margins and increased productivity. Warren claims "price comparisons between major railroads are far more difficult to make because of significant differences in both their mix of cargo and the average distance the load is carried. To supply a very crude measure, however, our revenue per ton-mile was 3¢ last year, while shipping costs for customers of the other four major U.S.-based railroads ranged from 4¢ to 5¢." Gary Ross, the founder of PIRA Energy Group, called the oil price decline in 2014 - now he is projecting $70 oil…and like his call in 2014, he is a lone voice. But that voice is backed by a very deep research staff and a strong relationship with the who’s-who in the oil business - from Saudi Princes to wildcatters. Transportation managers – you might want to have contingency plans.